Thank the sweet baby Jesus then, for BLK. 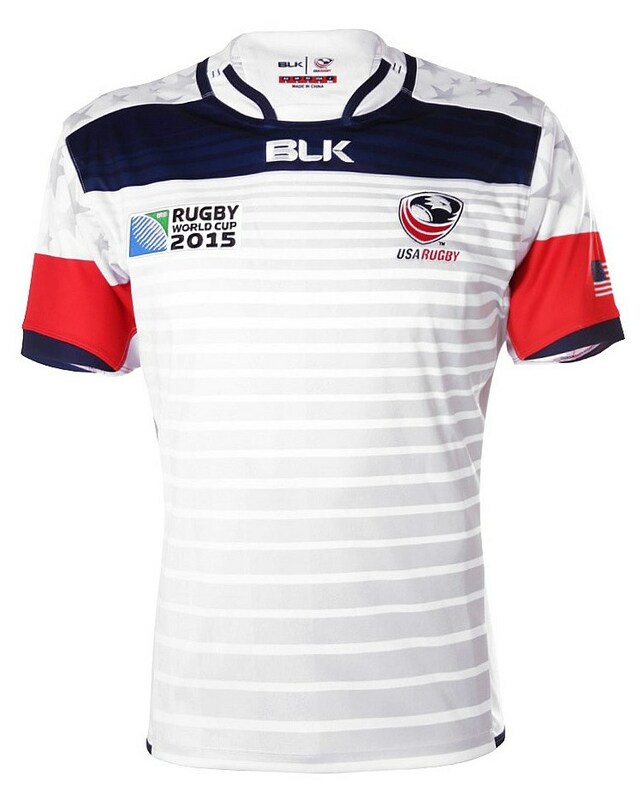 Say what you like about the Eagles change strip, but it is most certainly a very, very different animal from the home jersey, and for the sake of our sanity and your hopeful reading pleasure, we’re grateful. Gone is the belly band of the, replaced with some light grey hoops that gradually contract as they work up the jersey, until they reach a large blue bar that runs across the shoulders. We were scratching our head trying to remember where we’ve seen BLK do something similar before, and those who’ve seen this year’s Queensland Reds alternate shirt will perhaps be thinking the same way – there can be little doubt that it works better here, however. We always say that alternate shirts are the place where we want to see designers cutting loose a bit and trying something out of the ordinary, and there can be no doubt that BLK has used all the crayons in the box with this one. 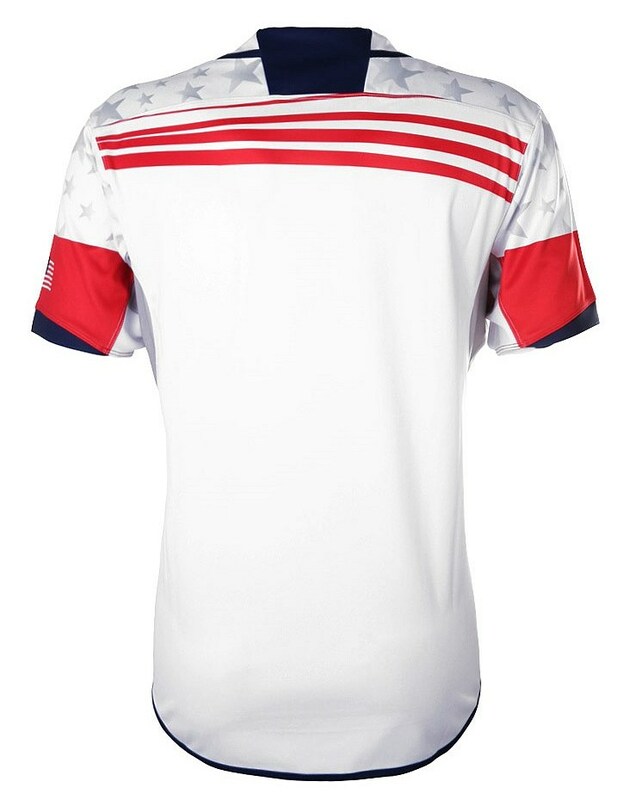 Whereas the stars were neat, ordered and restrained on the home, here they’re splashed in much more haphazard form all over the shoulders, hemmed in by the large red sleeve cuffs to complete the red, white and blue requirement. 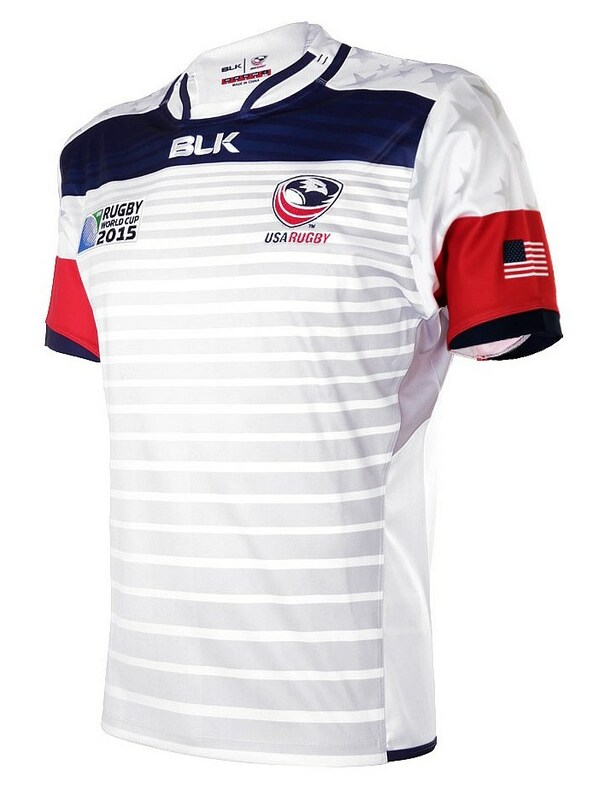 It looks a bit like a Sevens shirt, we think, but in spite of how much is going on here, it all hangs together very well. And that’s the genius of this shirt. There’s SO much going on here, hoops, stars, stripes, flags, colour blocks… it should look like a complete mess and yet it somehow works. It doesn’t even just work in a ‘it’s really garish and ugly that it’s actually brilliant’ sense, it’s actually nice… it’s visually pleasing in a ways that we can’t really understand, but it works. Bravo to BLK for not just palette swapping their alternate kits here, and doubly so for pulling off something quite this mental.